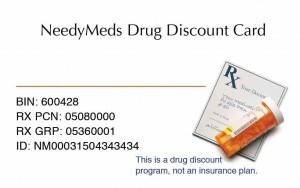 Have you heard about the NeedyMeds drug discount card yet? If so, have you tried it yet? Hopefully you’ve already used the card and have seen some significant savings. If not, it’s time to print out your free card and start using it today! The free NeedyMeds drug discount card can be used anywhere in the country at over 63,000 participating pharmacies including all of the major chains, to save up to 80% on your prescriptions. There are no income or age restrictions. There is no activation or registration needed and no personal information is taken when using our card. The only rule is that you can’t combine it with insurance. So if you’re uninsured, you can use it anytime you are purchasing a medication. If you have health insurance, you might wonder how this card can help you. The card can fill in the gaps in your coverage. For example, if you have any medications not covered under your insurance or if you have a high co-pay or deductible, you could try using the card instead of your insurance. You can also use the card on any over-the-counter or medical supplies your doctor writes as a prescription, as well as pet prescriptions you can pick up at a pharmacy. There are many ways that you can make use of the drug discount card. If you’re in individual, you can use the card yourself and share it with your family and friends! One family could use the same card and it never expires. A NeedyMeds drug discount partnership is a great opportunity to collaborate with us if you are part of an organization, social service organization or health care facility. Offer a co-branded card to increase awareness of your organization and how you are contributing positively to your community. We design a plastic card that can include the partner’s name and logo and prepare camera-ready and web-ready graphics. We work with each partner to help them determine the best way to distribute their branded cards and educate the card recipients on how to maximize their savings with the card. You’ll also receive monthly reports about how often your card is getting used and how much you are saving the population that you serve. These reports can help illustrate in a tangible way to funders and other interested parties how you are helping your constituency. And the best part about a discount card partnership with NeedyMeds? It’s free! Contact outreach@needymeds.org today if you’re interested in finding out more about the opportunity or to request a large amount of cards. 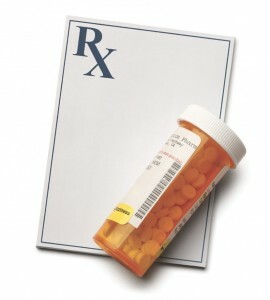 To print out a card right from our website that is ready to use and be brought to the pharmacy, visit: http://www.needymeds.org/drugcard/drugcard.pdf.